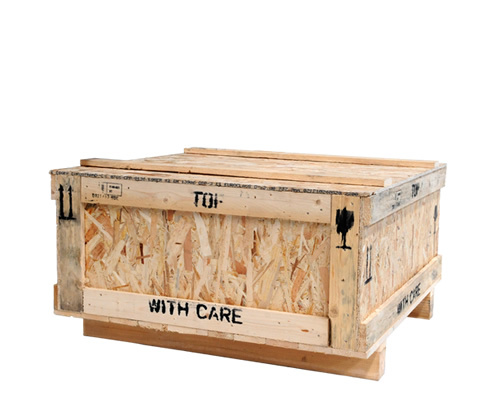 Resistant paperboard boxes or easy wooden packing cases for a cost effective safe handling. Good for storing and an easy solution for wholesale shelf use. 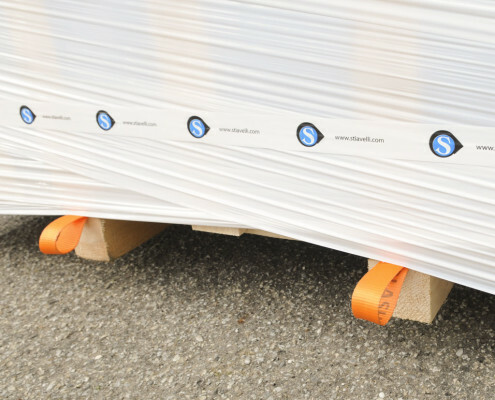 Slatted sides on a strong base, maneuverable for forklift and truck movement. 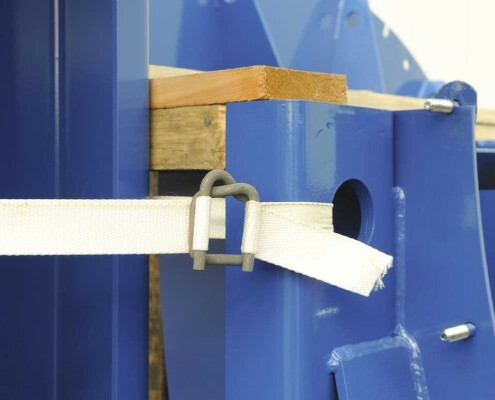 Suitable for customs controls, it avoids repackaging need. 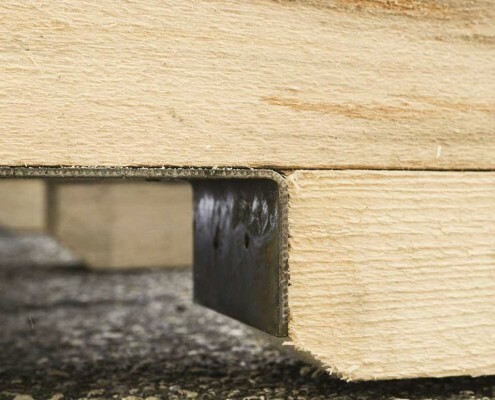 Wood surrounds the goods with a solid box, closed on every side, making them fully secure. Safe and appropriate for the most long distance shipping. 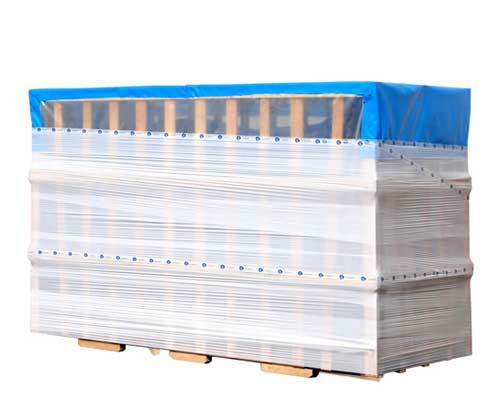 Proper packaging solutions for transport and storing with precautions for corrosion, vibrations, shocks, humidity, dust and accidents. Our packaging introduces our products to You in the best way so we care for it. Our fans and blowers deserve the best solutions to reach final destinations flawless. Most of our packagings may be recycled or easily disposed. 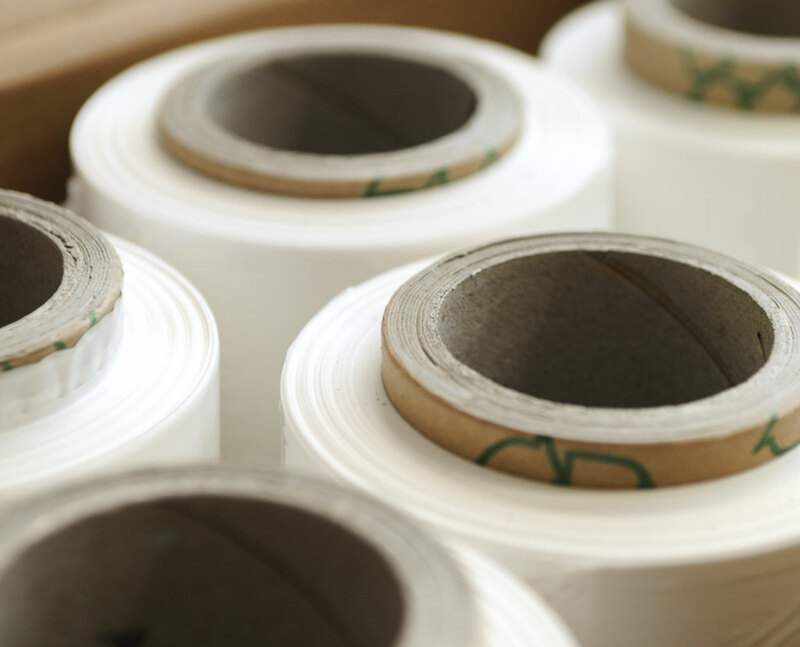 We take care of the environment by optimizing the effective quantity of packing materials. 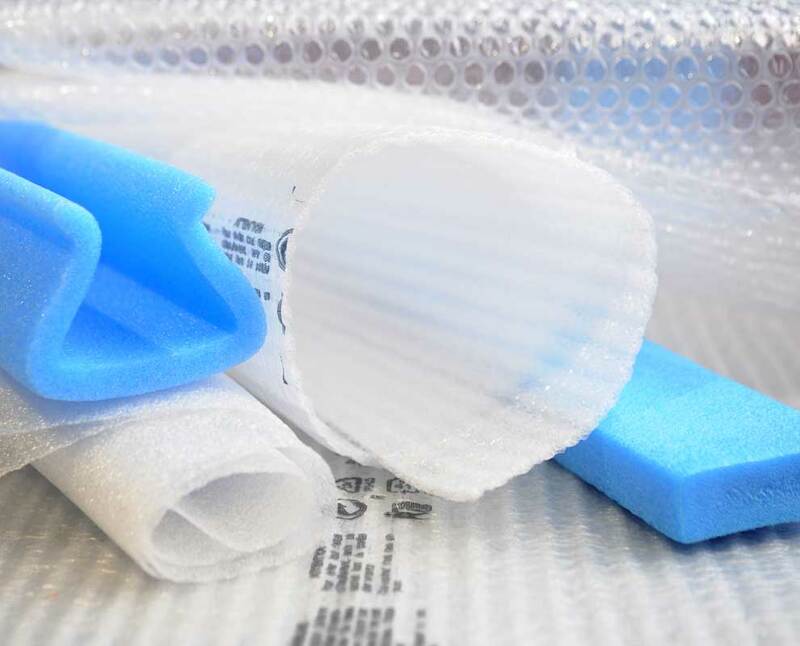 Bubble air barriers cushioning solutions, protective papers, polystyrene chips, styrofoam panels and angle brackets for a superior protection of the goods. Multilingual or English signs inform on handling indications. 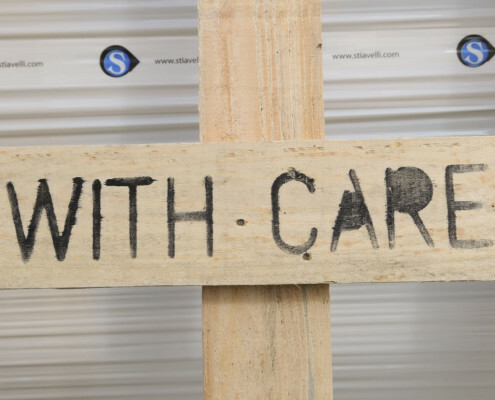 Ideograms for “Fragile”, “Top”, “With Care” will instruct workers about goods movement. You will receive our products wrapped by white opaque packaging film. It protects the industrial privacy. Nobody will glimpse Your purchase. 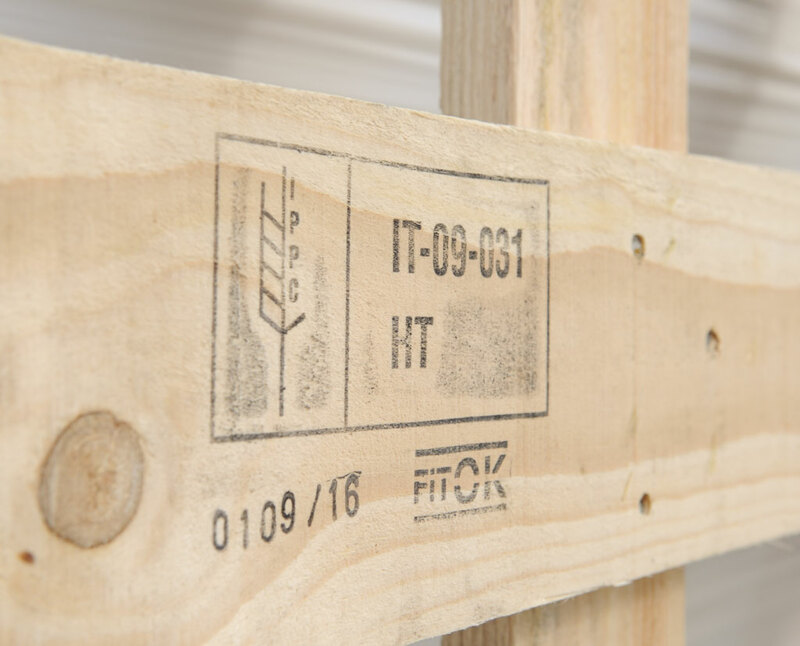 Our packaging official supplier has been licensed to use IPPC/FAO FITOK Phytosanitary Mark, complying with the ISPM n°15 – FAO for wood materials. 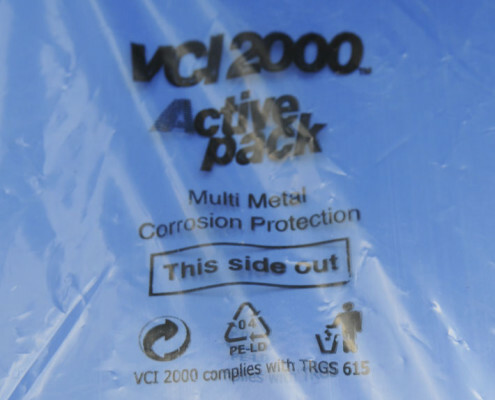 The use of Volatile Corrosion Inhibitor paper, bags and films prevent electrochemical oxidations of metals. We ensure a protective shell for Your packaged goods. We use small breathable pouches for dry preservation of metal surfaces of our fans and blowers. 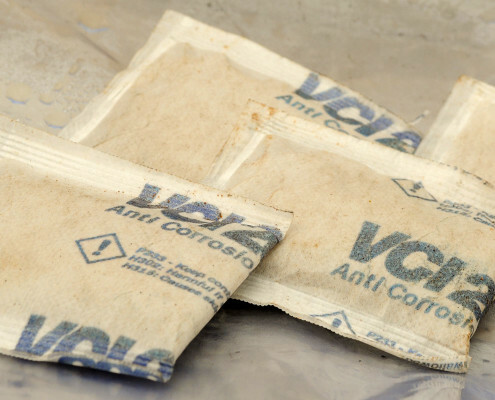 They work for a long period of time in a closed bag. Special belts are applied to unload the wooden boxes. A smart solution for an easy and quick sliding extraction of the box from a container or a truck. 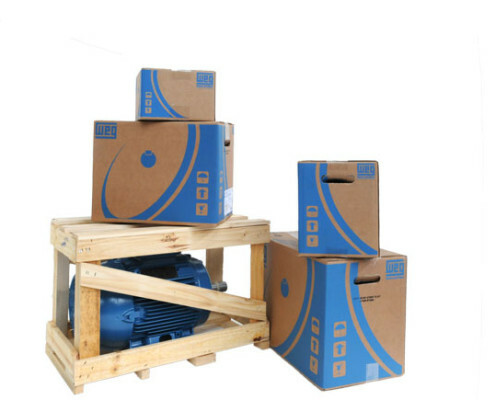 Fans and blowers are accurately belted in the case and mobile parts are blocked to reduce risk of breakage. It prevents accidental load swinging. Vulnerable parts of packaging are structured with metal strengtheners applied on wooden crates and boxes to ensure resistance during handling phases. We arrange worldwide shippings every day in reply to requests from foreign countries customers. Our forwarding department arranges global deliveries. Priority and top urgent delivery solutions by air freight. Proven experience and strong cooperation with first class global forwarder to deliver as fast as possible. We work with the best marine freight forwarder with the most cost-effective and fitting way. We usually work with every kind of container or groupage service.